Here is a recipe for a perfect meeting à la Lapland Hotels: select an individual setting at one of our conference hotels according to your needs and your event. What they all have in common is friendly service, modern equipment, excellent food and a splendid selection of activities to choose from. And best of all, Lapland is easy to reach by air. Our electronic event management tools make light work of such tasks as coordinating registration and communication during the event. The Lapland Hotels Riekonlinna and Olos provide the world-class setting and resources for any major conference, including EU meetings. Olos offers top-class accommodation and privacy. Our quality tourism activities can be tailored to the needs of even large groups. A meeting gets off to a better start when invigorating activities are on the agenda. The options range from various types of safaris to cultural events. 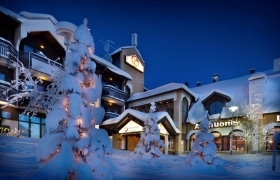 For example in the urban setting of Ounasvaara at Lapland Hotel Sky Ounasvaara, in the landscapes of Luosto in the Amethyst Spa of Lapland Hotel Luostotunturi, and in the skier’s paradise of Ylläs at Lapland Hotel Äkäshotelli. In Levi, the refurbished Lapland Hotel Sirkantähti offers a welcoming backdrop for a smaller meeting in the centre of Levi. We will be happy to help you with planning a successful package for your individual needs. 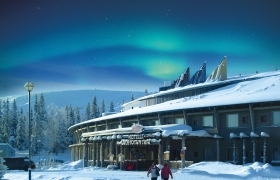 No-one should miss experiencing a meeting or conference in Finland’s northernmost conference hotel in Saariselkä. Our Business Centre with its equipment and data links is also at the disposal of all our hotel guests. In other words, there is always a good balance of business and pleasure at Riekonlinna. 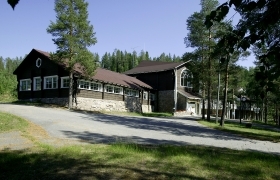 Lapland Hotel Luostotunturi has several conference rooms of different sizes and styles, catering for everything from small groups to gatherings of up to 180 in the auditorium. The meeting rooms can be adapted to your group, and we will be happy to help you with the arrangements from beginning till end. 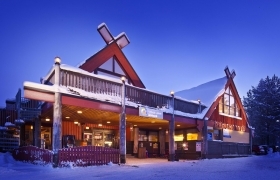 Olos Polar Center is an outstanding meeting and conference centre that is sure to meet all international requirements. 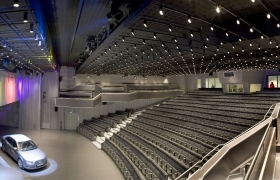 Below Polar Kota, there is a grand auditorium for 800 people and two team work rooms that offer peaceful and spacious facilities for a celebration or a meeting even for larger groups. A long agenda will be no obstacle to an enjoyable meeting. 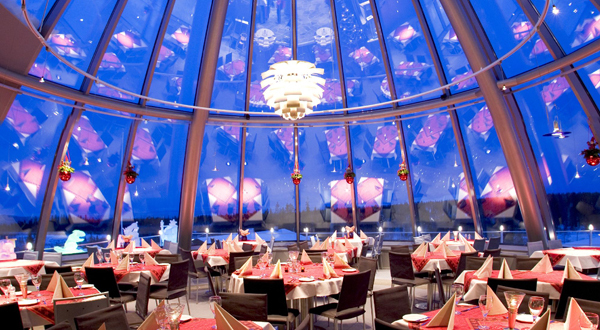 Just bring your meeting to Lapland Hotel Sky Ounasvaara in Rovaniemi, a haven right on top of Ounasvaara fell. All work and no play would make you dull indeed. When you are taking a break from fine-tuning your decision-making skills, why not jazz up your meeting by selecting one of Lapland Hotel Äkäshotelli Feelgood centre treatments or outdoor activities in Ylläs? Pirtukirkko restaurant, of course, is famous for its night-time buzz. 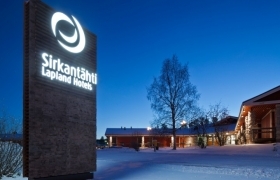 Nothing could make your relaxing holiday more perfect than having all the services brought to you on a platter – as in Lapland Hotel Sirkantähti at the very heart of the ski resort. We provide an efficient setting for productive meetings, and to help you relax after all the hard work, we can organise a variety of activities. 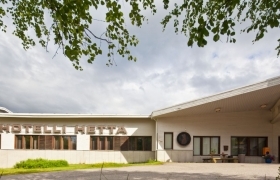 At Lapland Hotel Hetta on scenic Lake Ounasjärvi surrounded by the Lappish wilderness, you can let your conference programme merge into a snowmobile safari to the nearby fells. Or why not go on an overnight safari all the way to the Arctic Sea? A great meeting will be concluded in the sauna and at the table enjoying Lappish delicacies. When decisions need to be made, why not make them in an attractive setting? 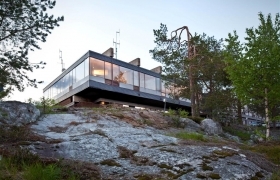 Pohtiolampi, not far from Rovaniemi, is a haven for conferences, offering the peace and quiet you need. Our well-equipped conference facilities are intended for groups of 8-120.